drivingandlife: ROUGH DIAMOND? NO WAY! This matrix is the ‘Diamond Grille’ that is a feature of the new Mercedes-Benz CLA. The design team went to extraordinary lengths to ensure that each pinpoint was exactly the right distance apart, and the right angle depending on your viewpoint, so that the scaling of the diamond ‘pins’ best represents the sense of style Mercedes-Benz has lavished on its new compact car range. 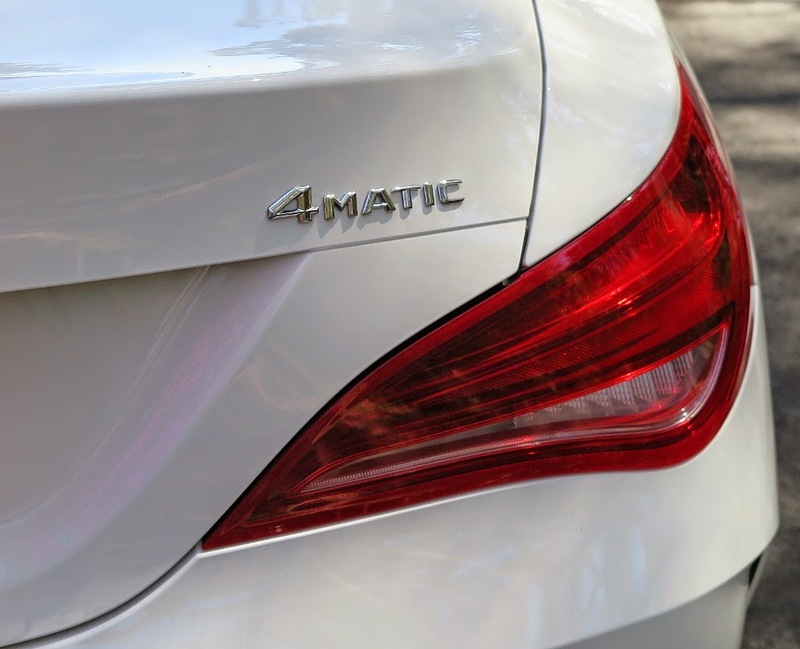 The CLA’s no rough diamond though – the headline was simply meant to intrigue. After spending almost 300km in the CLA 250 Sport, this is a very accomplished car with fine breeding, and very acceptable road manners. 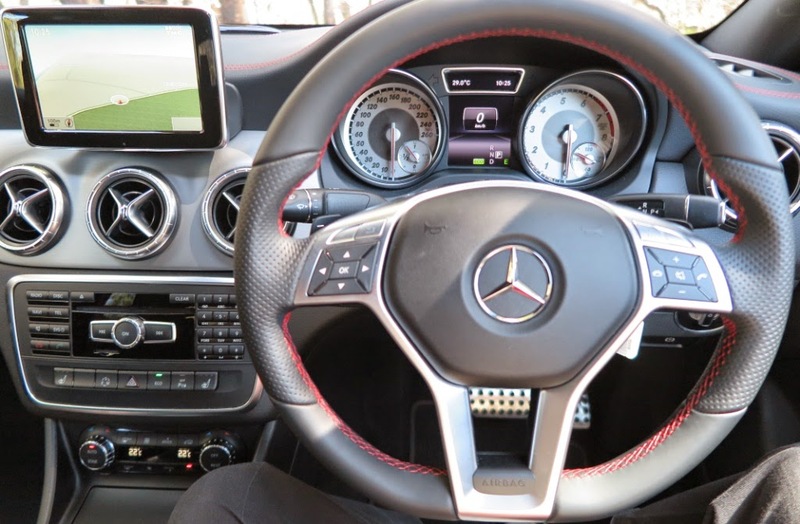 The test car featured Mercedes-Benz’s excellent 7-speed dual clutch transmission and 4-Matic all-wheel-drive, plus of course the modified ‘chip’ in the computer of the 2-litre, turbocharged four cylinder, which in 250 guise pumps out 155kW. 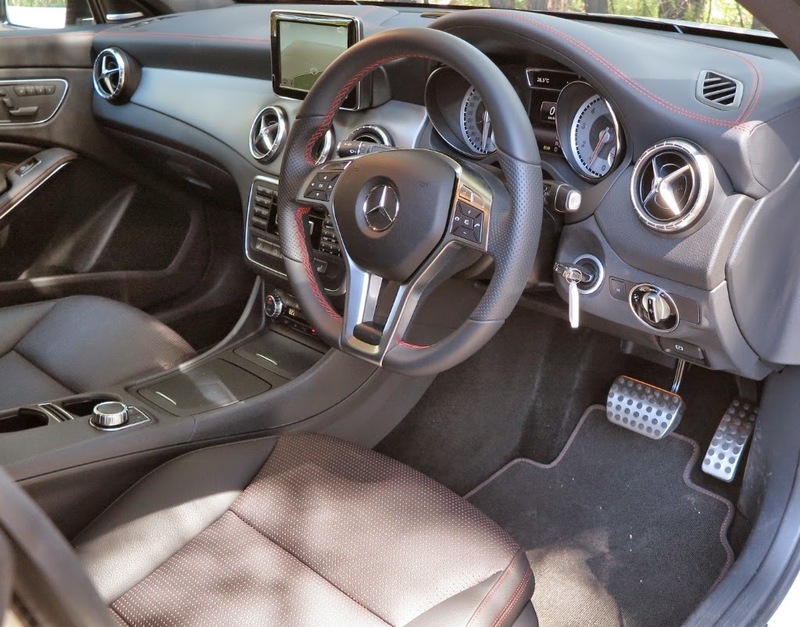 That may not sound like much in the power stakes, but mated to the ‘paddle shift’ transmission (with ‘sport settings’) and AWD, the CLA 250 Sport becomes a very nicely balanced performance car. At AUD$64,990 it may appear a bit expensive, but in performance and handling it really delivers a lot of enjoyment; and there’s lots of extra ‘gear’ as standard equipment to impress your friends. Viewed in this perspective, it’s a bargain. 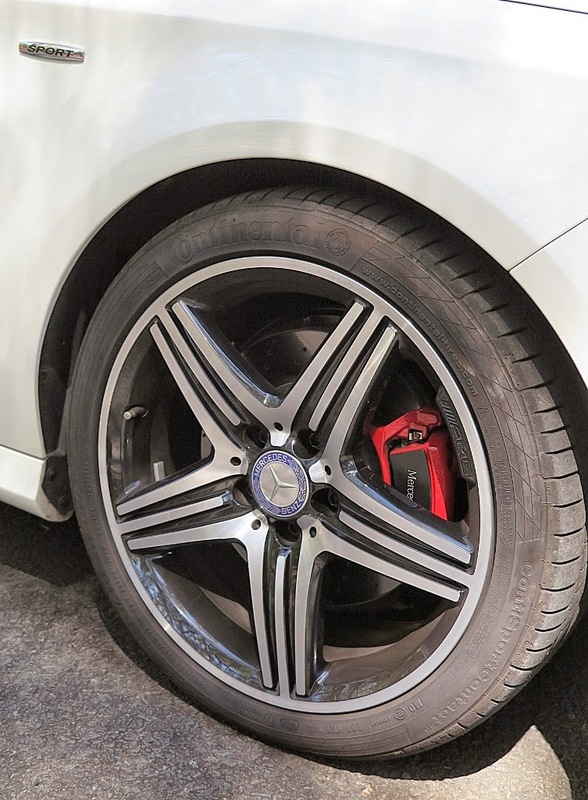 There’s lots of AMG touches, like the contrast red on the brake calipers and grille, red stitching on the seats and dash, red seat belts etc,; nifty alloy wheels; and firmer spring/damper rates for a finely-tuned ride and handling package. During the test we had a typical Sydney rain dump, almost bordering on flooding the test route, but here the 4-Matic dealt very safely with the downpour. 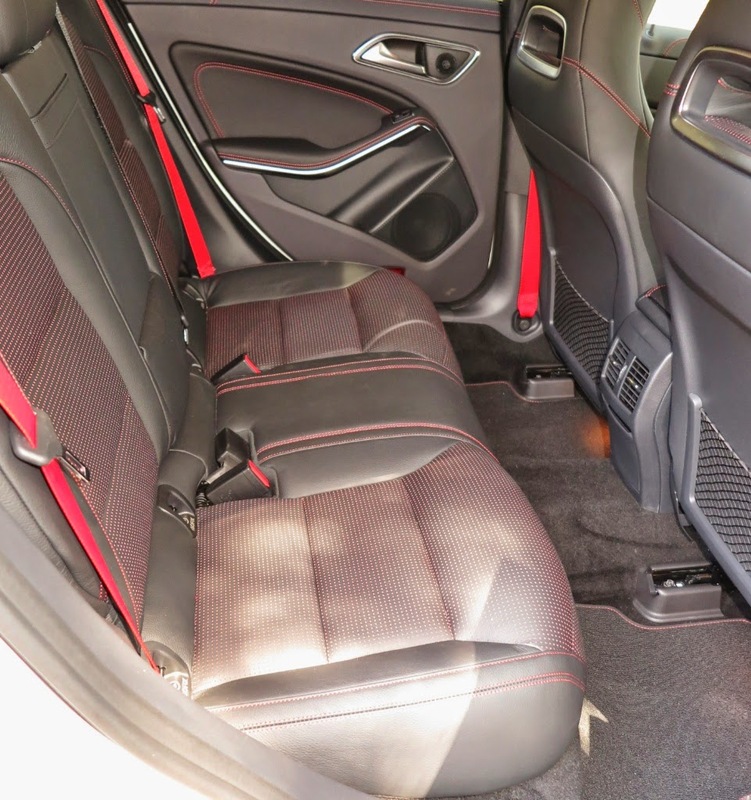 So, it’s compact, performs well, but how does it fit the occupants? Nicely, thanks for asking. It will easily accommodate adults in the rear seat with adequate legroom, but that’s because the designers lowered the H-point in the rear bench, so the bonce doesn’t bounce off the headlining. Talking of design, the car was penned by a designer who comes to car styling from an unusual background – fine art. What is fine art, you say? Well, think landscapes, portraits, still life, oil and watercolours etc. 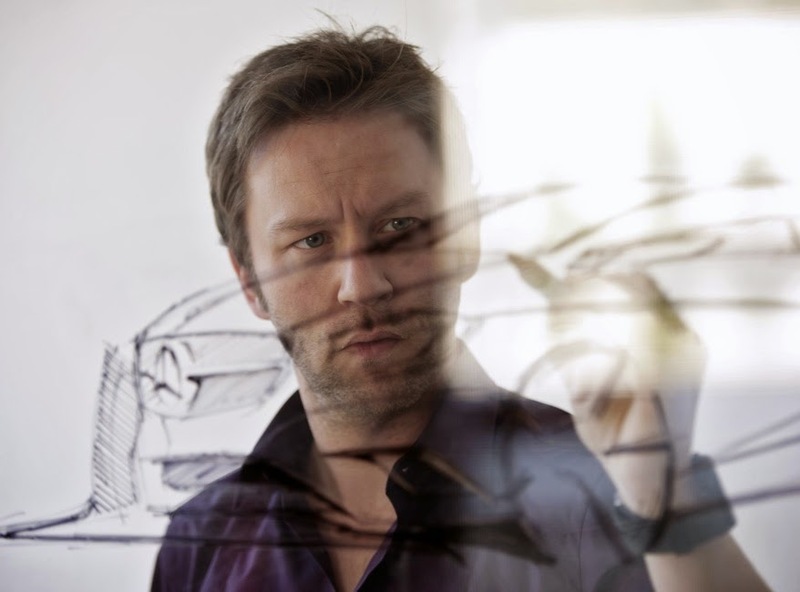 Artist Mark Fetherstone joined a degree course in car design, only to find that his peers had been at it for years as amateurs, doodling at car designs in their bedrooms and classrooms. He told his father he was way behind, when it came to drawing cars. 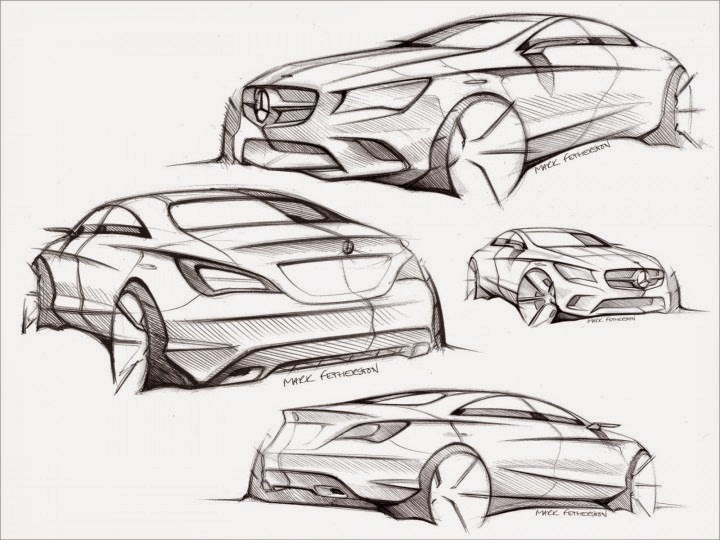 Fatherly advice was to stick with it, and before you know it he’s got a design apprenticeship with Mercedes-Benz, and now he’s introducing his great design triumph – the CLA sedan! Watching the video of his design presentation it’s not hard to be seduced by his passion for art, his keen observations of the design challenge, and his highly-skilled renditions and interpretation of the brief. 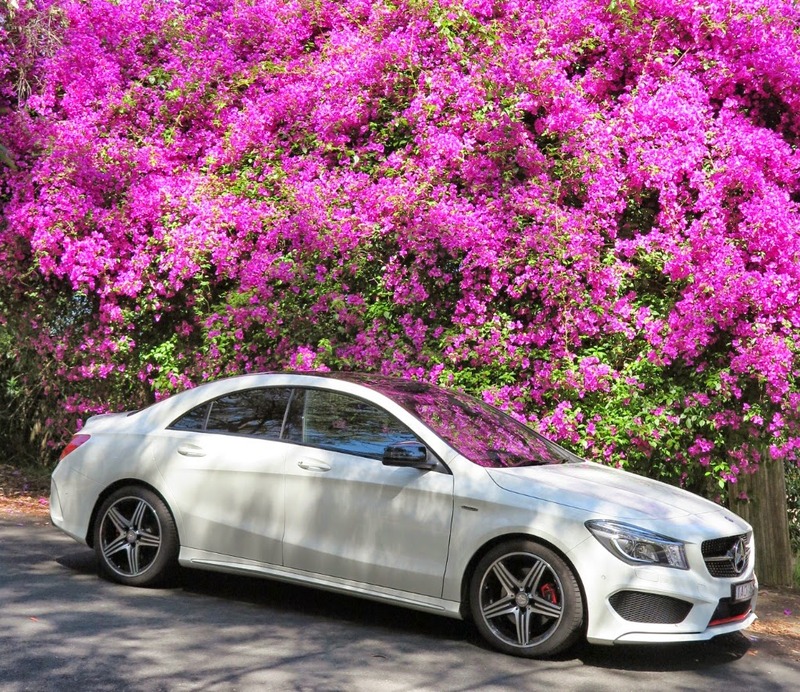 Liking, or disliking particular cars is universally independent, so you can make up your own mind what you think of the CLA sedan. You’ll probably be comparing it to a BMW, featuring the ‘flame design’ styling theme created by the legendary Chris Bangle at the ‘Munchen Motorwerks’. But, whatever your opinion of CLA styling, it IS original and it adheres to many contemporary readings of current trends. Including its bigger brother from Benz. 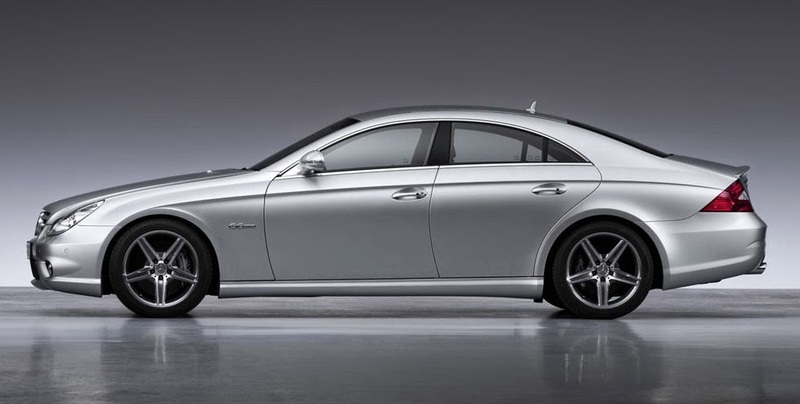 I said previously that Australian designer Peter Arcadipane left a strong design legacy at Mercedes-Benz when he departed to work in China - like the original CLS. Of course you can see that in the development of the new CLS models with their sculptured flanks. This design element is very much at play in the CLA. Fetherstone has successfully scaled the positive and negative surfaces to give the CLA family resemblance, but retaining individual flair. 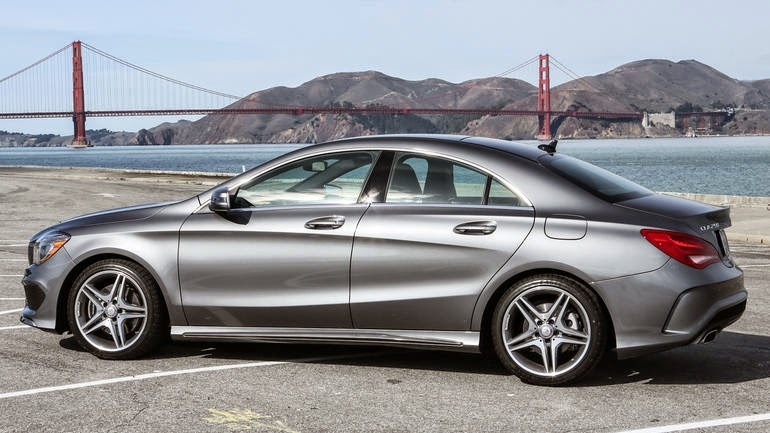 Will the CLA be a winner for Mercedes-Benz? 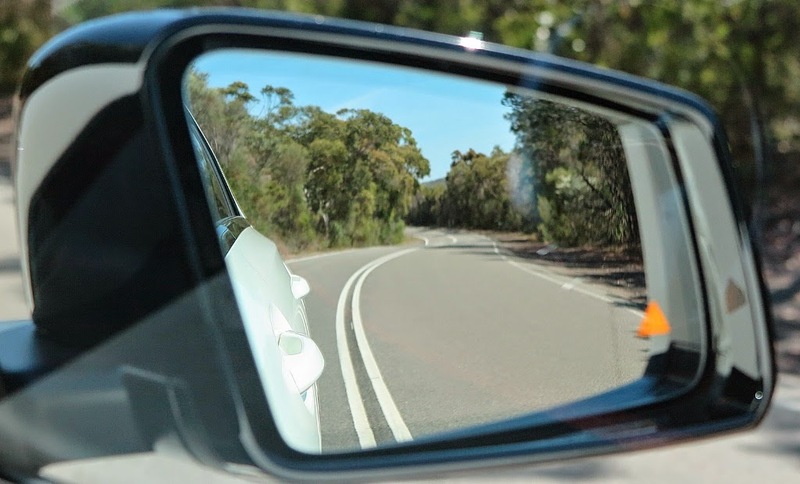 I reckon it will, given that prospective purchasers are being told by their Australian dealers to put their name and phone number down on the list inside the dealership’s front door – and we’ll get back to you when it’s time to decide on colours and trims, and complete the order form. I believe that’s a good measure of success. 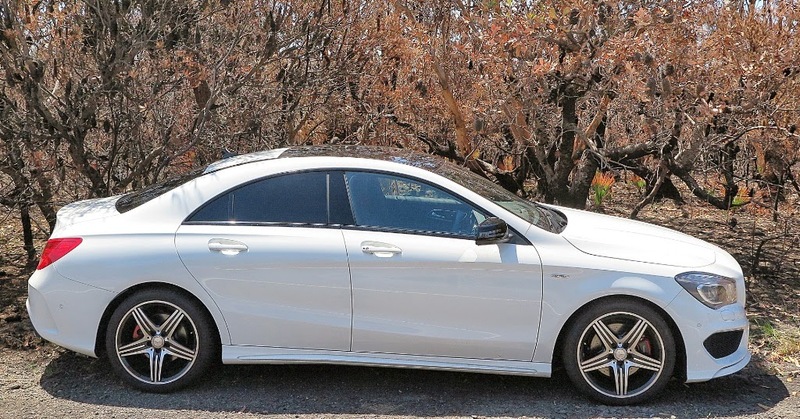 BTW, in my opinion the CLA 250 Sport with all its features and performance appeal is the best of the bunch. Sporty, good-looking and great to drive. Anything else you’re looking for?